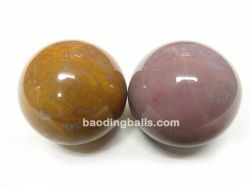 Fancy jasper consists of a beautiful blend of different shades of colors, which can include green, brown, red, white, and yellow. 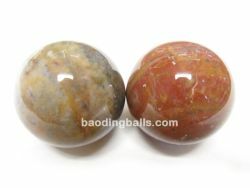 In general, jasper was used by kings and shamans for their metaphysical properties. 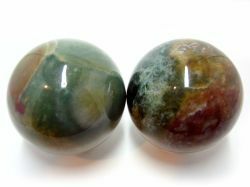 Fancy jasper is believed to bring tranquility, eliminate worry, increase mental clarity and concentration, stimulate creativity, promote a general sense of well-being, and protect from electromagnetic radiation and environmental pollution. It also is believed to help alleviate chronic health problems by aiding in digestion and blood circulation and detoxifying the body. It protects against psychic attack, cleanses the aura, and aligns the chakras.